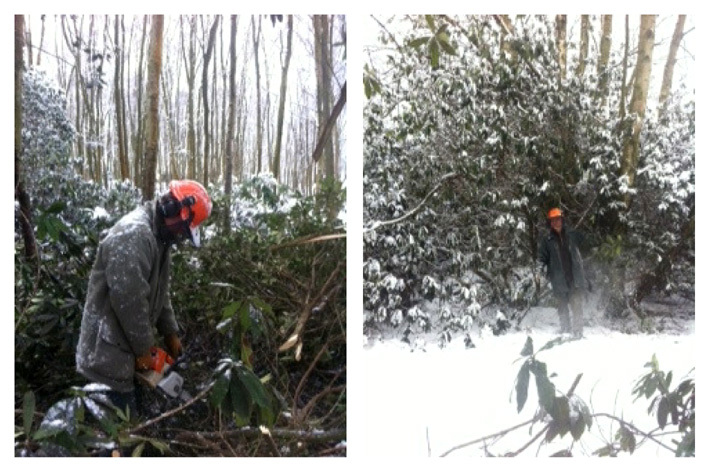 You’ve seen the footprints in the snow… you’ve heard the howl in the halflight… for those of you who have wondered if David and Paul, our Foresters, were real, these visions in amongst the Rhodododendron are they! Posted on February 10th 2012 under english hardwoods, round timber, woodland management. You can follow any responses to this entry through the RSS 2.0 feed. You can leave a response, or trackback from your own site. this beats working at a DESK!! !